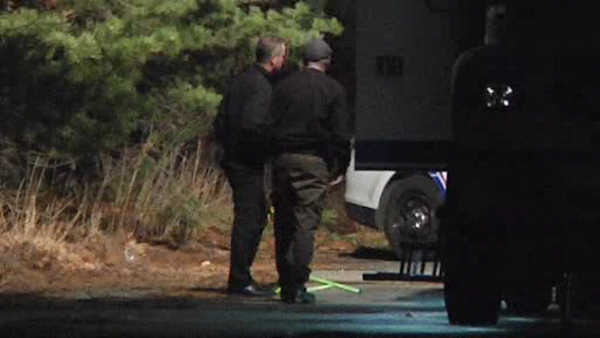 MIDDLE ISLAND, Long Island (WABC) -- Police are investigating the death of a man whose body was found in a wooded area on Long Island. 26-year-old Alexander Incorvia was found shot and killed Saturday afternoon in Middle Island. Investigators say a woman was walking her dog on a wooded path behind a former K-Mart store on Middle Country Road when she spotted the man's body. The property has remained vacant since the store closed almost a decade ago. Incorvia was reported missing last Thursday and was last seen leaving the Comfort Inn in Medford, where he lived, two days earlier. The Suffolk County medical examiner is to perform an autopsy.